Government support for creative clusters is not a new phenomenon, of course. It’s not the case, of course, that creative clusters are reliant on Government support or that, somehow, RDAs and/or LEPs and/or local authorities can create clusters out of thin air. But, as research by the Boston Consulting Group, the Brookings Institute and others has shown: local, regional or national support for clusters is critical to their sustainability. Indeed, building on work by the Boston Consulting Group the ‘spider-diagram’ below illustrates how different cities can have different strengths and strategies for supporting economic clusters. The four (un-named) cities in this visualisation all have strong digital clusters – with local government support being a critical part of a complex support network, including available investment capital, workspace and broadband infrastructure. My own view is that successful clusters are likely to embrace both cultural and digital economies. Fused businesses, which combine creativity and technology, grow fast and fuel growth. The Brighton Fuse report showed that ‘superfused’ businesses (businesses which have a “strong” link between creative and technology skillsets) are growing 40% faster than the average technology business in the city. 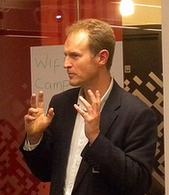 UK cities with a strong cultural infrastructure and a supply of talent are ideal environments to accelerate the development of super-fused businesses and, with the sort of funding recommended by Sir Peter Bazalgette, are perfectly placed to create the conditions for this growth.